In 1497 the Sephardic Jews of Portugal ceased to exist. They were all ordered to be baptized by the King who promised the ‘New Christians” that there would be no inquiry into their private religious practices for 20 years (later extended). Secretly observing the essential rituals of Judaism, the New Christians maintained their Marrano (secret Jew, in Hebrew, “anousim”, for “forced one”) identity for over 300 years despite relentless persecution by the Inquisition. Thousands were tortured and/or burned alive. The national archives of Portugal, “Torre de Tombo” contains over 40,000 Inquisition files. In the 1920s, Captain Arthur Carlos de Barros Basto, a decorated Portuguese WW1 veteran who survived gas attacks in Flanders, began a quasi-messianic movement in northern Portugal to “out” Marranos and bring them back to normative Judaism. Basto, a free mason and Republican was informed of his family’s Marrano heritage by his grandfather who announced on his deathbed that he wished to die as a Jew. Basto honoured his grandfather’s message for the rest of his life. He taught himself Hebrew, becoming so proficient that he later taught it at the faculty of Arts at the University of Porto where he also conducted original research into Portuguese medieval Jewish history. Later, he traveled to Tangiers to undergo a formal return process to Judaism. Returning to Lisbon, he married the daughter of a prominent Jewish family of that community which initially had rejected him. He then settled down in Porto, near Amarante, his place of birth, to raise a family and start his building his dream. Basto’s mission attracted wide support from Sephardic Jews in Amsterdam, New York, and London (whose ancestors had escaped the clutches of the Inquisition). The London Marranos Committee and the Spanish Portuguese congregation of Bevis Marks, England’s oldest synagogue, provided moral and financial support. Prominent English Jews such as journalist and founder of the Jewish Historical Society of England, Lucien Wolf, Cambridge professor and respected author, Cecil Roth and lawyer Paul Goodman (also president of the London Marranos Committee), became friends and fans. Dr. Rabbi David Sola Pool of New York visited Basto. Visiting isolated villages and towns, sometime by foot and donkey, the charismatic Captain, dressed in full regalia, convinced thousands of Marranos to give up their syncretism and return openly to the faith of their ancestors. He led the revival of normative rituals and established synagogues in several towns and cities, despite protests from the Catholic Church. In Porto, a city with a strong mercantile Jewish tradition (birthplace of the world’s first secular Jew, Uriel da Costa, Spinoza’s predecessor) Barros Basto established a yeshiva (theological institute) and founded an instructional Jewish newspaper, “Halapid” (the “Torch”) which he published until 1958. At the height of the depression, with the financial backing of Baron de Rothschild of Paris and the Kadoorie family of Hong Kong, Barros Basto built a magnificent four-storey art deco synagogue, which he called the “Cathedral of the North”, a beacon for the downtrodden Marranos. The Kadoorie synagogue of Porto (Mekor Haim, Hebrew for “font of life) was inaugurated in 1938, the same year as Kristallnacht, the “night of broken glass” when synagogues and Jewish businesses were ransacked and destroyed throughout Germany. During the ensuing war, Barros Basto helped many families fleeing the Holocaust. Barros Basto encountered a shattering surprise. One of those "colleagues," Isaac Cassuto, had immigrated to Portugal several years earlier from Hamburg, where his father had been president of that city's tiny Sephardic community. It later developed that Cassuto had departed under a cloud; evidently he had "appropriated" rare Hebrew incunabula from the Hamburg talmudic academy. In Portugal, as an equally slippery dealer in rare books, Cassuto did well enough to maintain a luxurious villa in the seaside resort of Estoril. Barros Basto, in turn, had sufficient information about the man to block his repeated overtures for congregational office. It was as a gesture of revenge, therefore, that Cassuto now volunteered to serve as a police witness against the accused captain. His testimony was devastating. Barros Basto's dossier then was turned over to the army, which instituted its own court-martial. With extended interruptions, the case dragged on from 1935 to 1937. Eventually it was dropped for lack of conclusive evidence. Yet the damage was done. By the mid-193os, parents had withdrawn their children from the Rosh Pina school, and Barros Basto had become persona non grata among his once-devoted marrano followers. With equal timorousness, the established Jewish community also now distanced itself from the case. Finally, in 1943, the Ministry of Defense revoked Barros Basto's officer's commission for reasons of "good and welfare." He was a ruined man. A reaction (to his success) was not long in coming. One phase of the church's counter attack was oblique, and was exerted through pressure on the government A second phase was directed against Barros Basto himself. In 1935 a local priest, Tomaz Correia da Luz Almeida, prior of the monastery of Al-furada, awaited Barros Basto's students each day as they walked home following their afternoon classes. Gently but persistently, Frei Tomaz won the confidence of several youngsters. Through skillful, manipulative questioning, he was able to fabricate a case against the captain. Soon the cleric convinced the police that Barros Basto was a "degenerate," that he was engaging in unnatural practices during circumcision ceremonies, under the pretext of sucking blood from the infants' incisions. Whereupon the Oporto municipal prosecutor immediately brought criminal charges against Barros Basto. The captain was unperturbed. He had anticipated church opposition and knew that his own devoted constituency of students and colleagues would decisively repudiate the libel. While the Nazis were destroying synagogues throughout Europe, and the It did not take long for the Catholic Church to respond. They built a bigger church, in the same architectural style as the synagogue, just up the road. Teachers and doctors who had adhered to the Captain’s call suddenly had no students or patients. students of the German college next door were throwing rocks at the windows of the newly built synagogue. Public demonstrations were held against the presence of synagogues in the provinces. The totalitarian government led by Salazar in Lisbon was not too enamoured with the Captain, who had hoisted the Republican flag in Porto in 1910. The powerful enemies of the Captain organized a campaign to destroy him. It was too much for Portugal’s staunch Catholic neo-fascist state, Salazar’s “Estado Novo” (New State). Relying on “anonymous” complaints and internal intrigue, Salazar’s dictatorship engineered the Captain’s downfall. 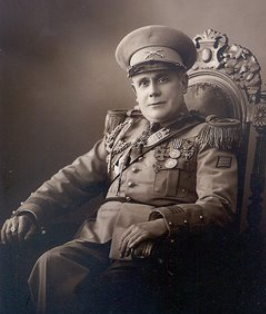 Although Barros Basto was cleared by civil and military authorities of trumped up charges, Salazar’s fascist ministers condemned him for carrying out alleged circumcisions and stripped him of his military commission, prohibiting him from wearing his uniform on the basis that he lacked the moral capacity to continue his military career. This led to a collapse of the renaissance movement that Barros Basto had started. The very people he had championed shunned him. He fell into disgrace and died a broken man in 1961. The inquisition had not disappeared, it simply had adapted. Marranos once again withdrew into the world of secrecy. Following Portugal’s peaceful carnation revolution of 1974, which toppled Europe’s longest dictatorship, Basto’s family sought to clear his name. Despite promises to do so, the military and politicians continue to stonewall all efforts to rehabilitate the Captain. Now, with the renaissance of Marrano identity, and the re-birth of the “Cathedral of the North” following a visit by the Sephardic grand rabbi of Israel, Shlomo Amar in 2004, the Captain is once again a hero. BY A UNANIMOUS DECISION OF THE PORTUGUESE NATIONAL ASSEMBLY.